If you're in Saskatoon to attend school, this is a place where you can expect a quiet place to study, housemates and coordinators who are supportive and want to see you succeed. If you're working and pursuing other vocational goals, we are a community that will journey with you and help you get connected with your passions. Eating good, healthy food, together, is central to life at The Vine & Table! While each member is only expected to help with cooking once per week, we all get to eat a delicious supper together every night. Knowing where our food comes from - who grows it, and how - is really important to us. We aim to grow most of our seasonal veggies right in our own backyard. We also get most of our meat, eggs, honey and fruit from farmers we know in and around the city. Our hope is that everyone around our table will try new foods and ways of cooking, and also introduce us to their own comfort foods and traditions. We welcome house members to invite friends for dinner. At The Vine & Table, members will pay a bit more than they would for just room and board, and will receive more than just meals and a place to sleep. Here, we all are members of the community - all contribute to keeping the living spaces clean and comfortable, all contribute to making supper and eating meals together. And because everyone contributes, the work for each individual is far less than living on your own! Each student can expect to spend an hour (or less) cleaning communal spaces each week. Developing these rhythms of caring for the space we live in is one way we offer hospitality to friends, housemates and guests. 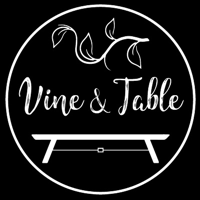 The Vine & Table is part of a network of friends, neighbours and churches who want to support young adults in their discipleship journey. In the fall, young adults will have the chance to meet potential mentors, and the House Coordinators will be available to make connections. We want to expand the network of support and involvement that students have beyond The Vine & Table. We also want to be good companions to each other. Our worship and community prayer times are ways that house members can become rooted and grow in their faith. Our hope at The Vine & Table is to be good neighbours to each other within our home, as well as our neighbourhood (Riversdale) and our campus and work communities.